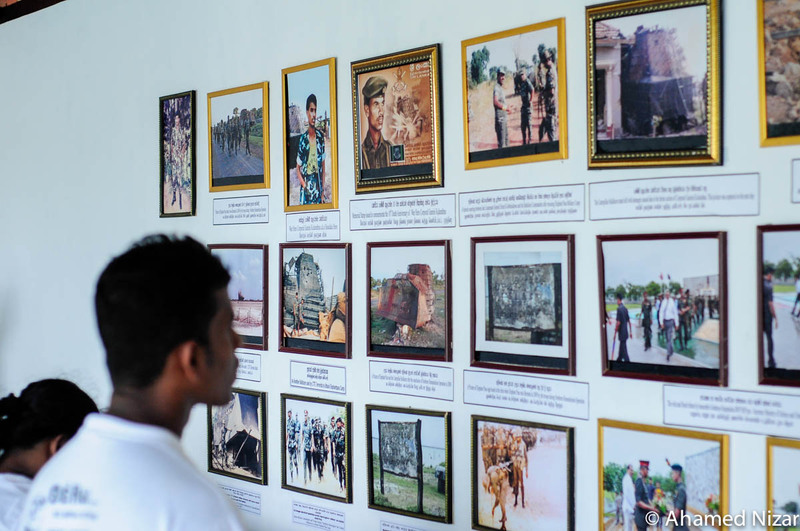 A visitor to the Battle of Elephant Pass memorial looks at the framed photographs depicting many happenings labelled around Elephant Pass. From photos of Coporal Gamini Kularatne who single handedly destroyed an LTTE modified armoured bulldozer with a handful of grenades to Gotabya Rajapaksha visiting the memorial. Today a statue of the fallen hero stands tall whilst a few feet away the defeated armoured vehicle is parked. Taken inside the Jaffna Fort, where apparently the Army had been trapped for a considerable amount of time. 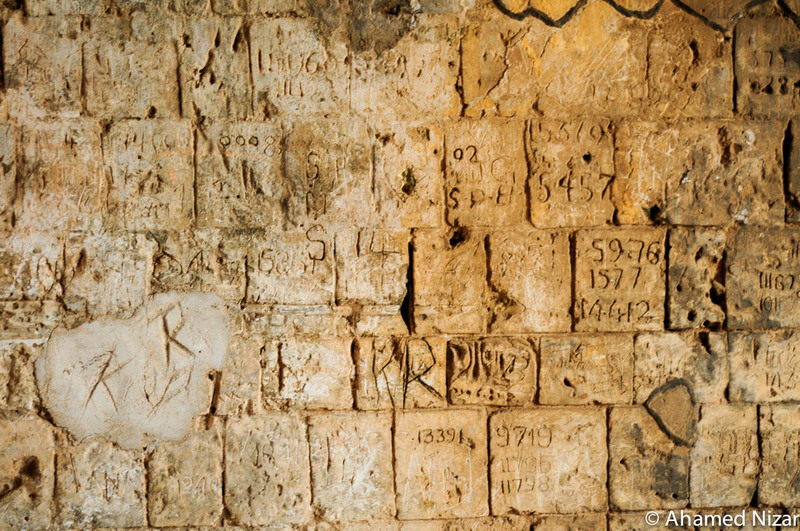 The carvings are said to depict anything from graffiti to battle plans. 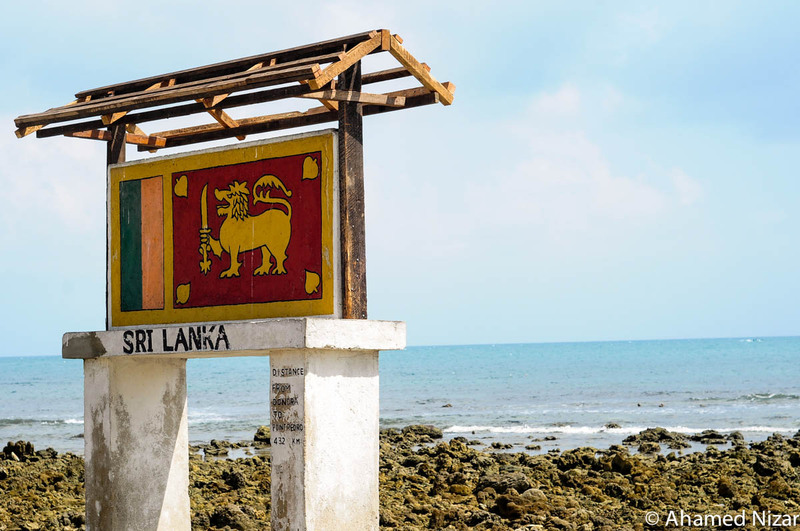 It is currently being restored with foreign aid and in the years to come will be as magnificent as the Galle Fort. Jagath pictured here was on the phone for a good 20 mins chatting up some lady. Before he retreated to pluck flowers, he approached me and had a quick chat with me. Maybe my camera intimidated him, but after learning the purpose of my visit he was more than happy to help. He passed on his phone number and said to call if I ever come by again. 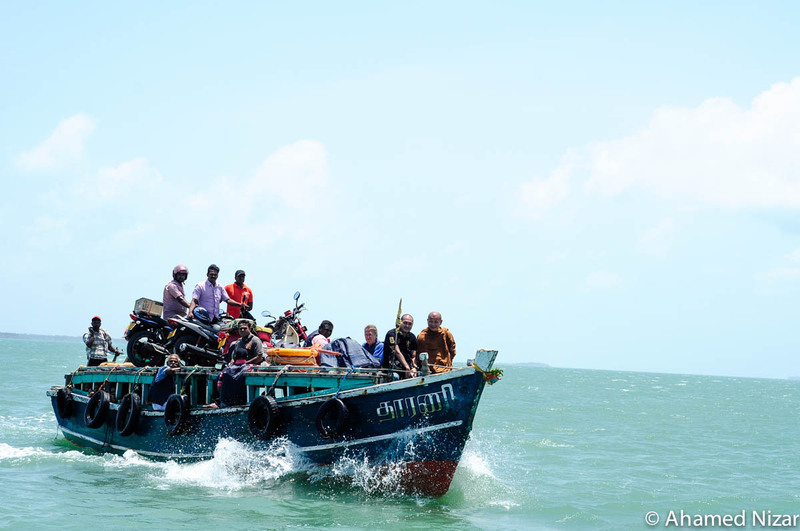 The public ferry to Delft Island is a wooden sardine can. 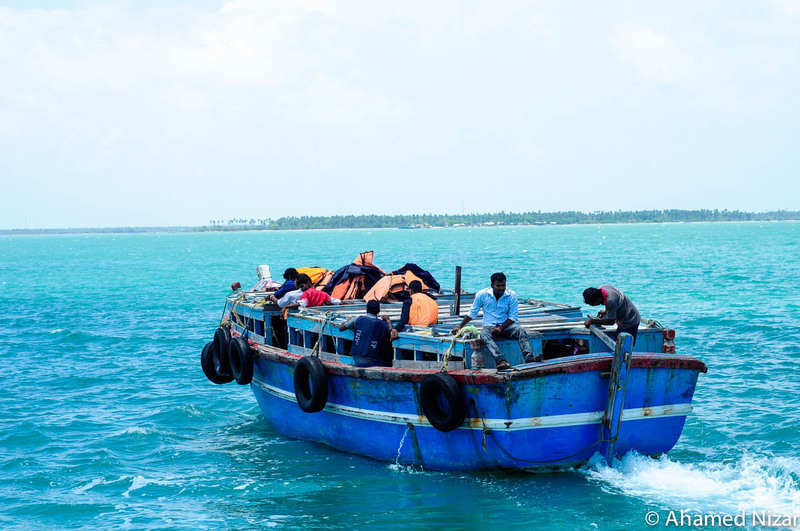 The lifejackets are placed on the top of the boat since wearing them inside would be hazardous with everyone brushing against each other. The only thing that rises above that is the Sri Lankan flag, proudly flying on top of the ferry. 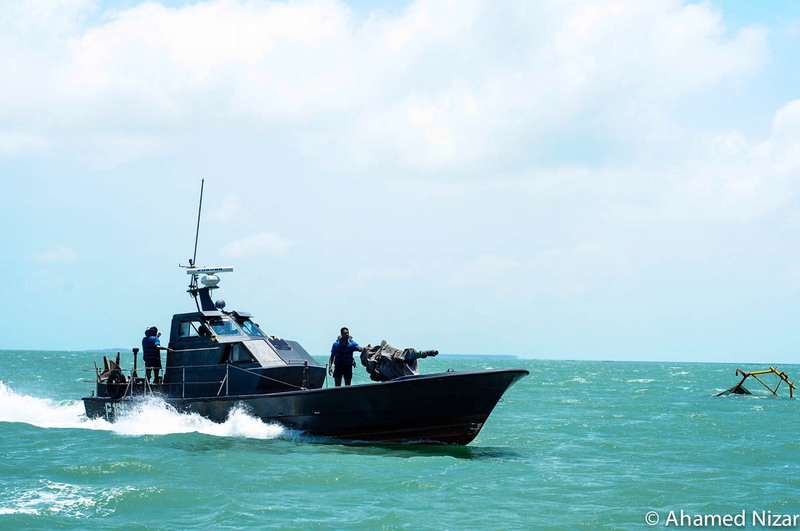 The Navy make an appearance whilst crossing to Delft Island. A ferry crosses our path, this one is less sardine can and more camel with more motorcycles, monks and merchants than our ferry. The captain of our ferry. He does not look in the direction of the boat but poses contently. The ferry headed back. Mainland Jaffna in the distance. 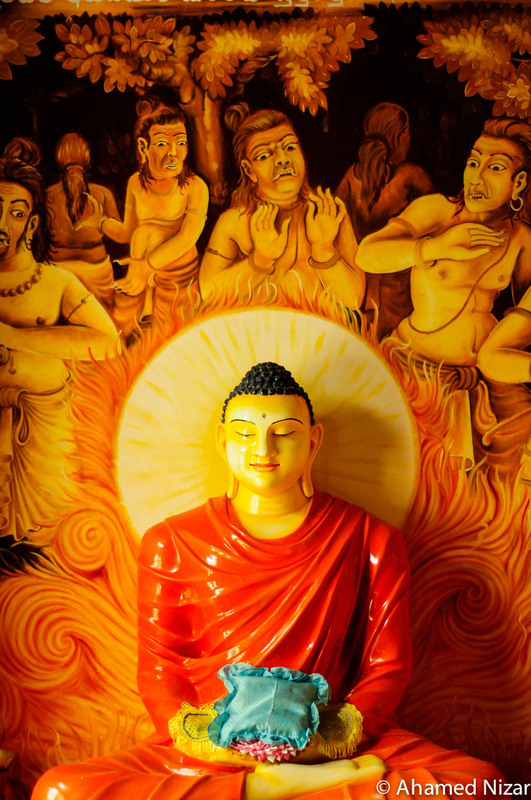 Lord Buddha being Lord Buddha. A Fish Mongress. She’s pretty thug. The cigar only parted her lips to either order the men around or you know to breathe. Point Pedro, the northern most point of the island. An army office that dropped by for a chat. His comrade had a gadget in his hand that was entering coordinates. He explained that his team and himself have cycled from Point Dondra to Point Pedro recording coordinates all the way. 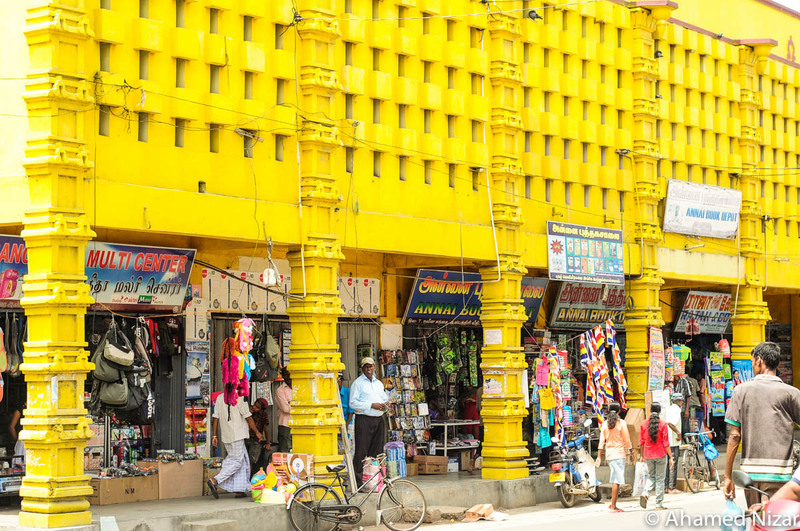 Jaffna Market painted in Sunshine Yellow. 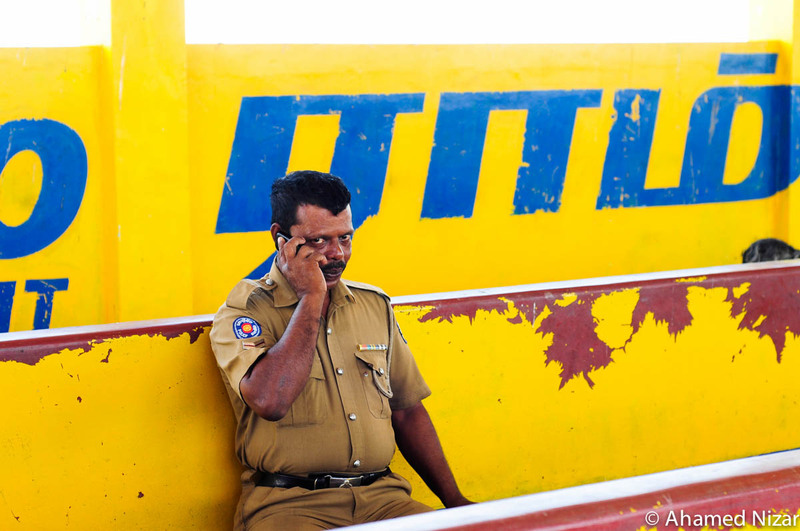 Other colours of choice in Jaffna are Baby Blue, Faluda Pink, Faluda Green, Saffron Orange & Pottu Red. 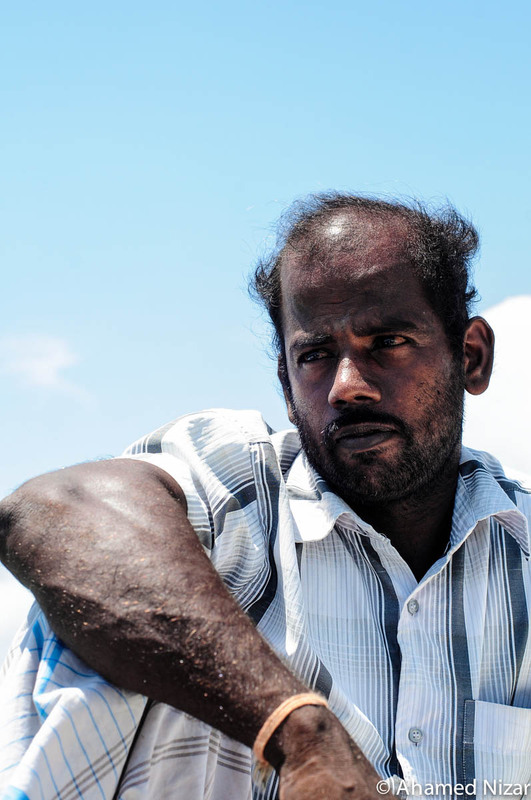 Jaffna Market is bustling with merchants now looking towards new hope, a means to life this new life. 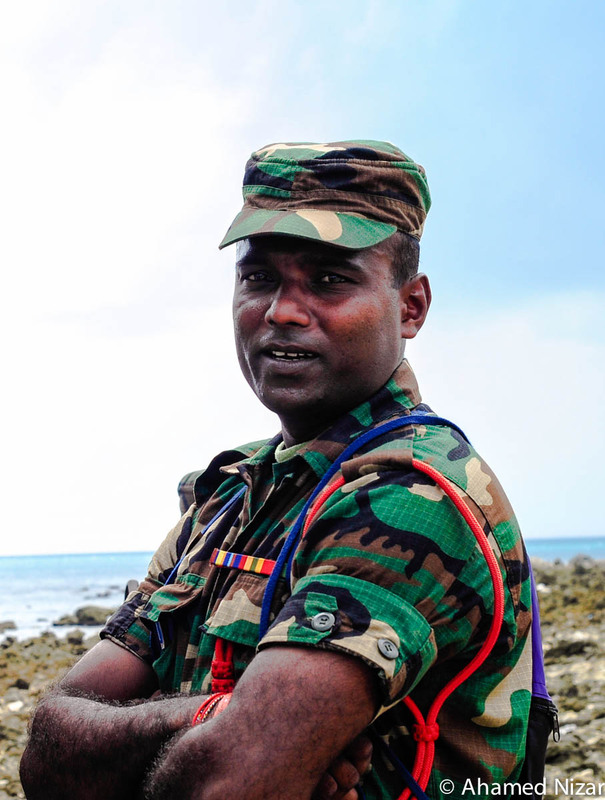 Whilst it isn’t easy a lot of people lost their livelihoods during the war and do whatever they can to get back. 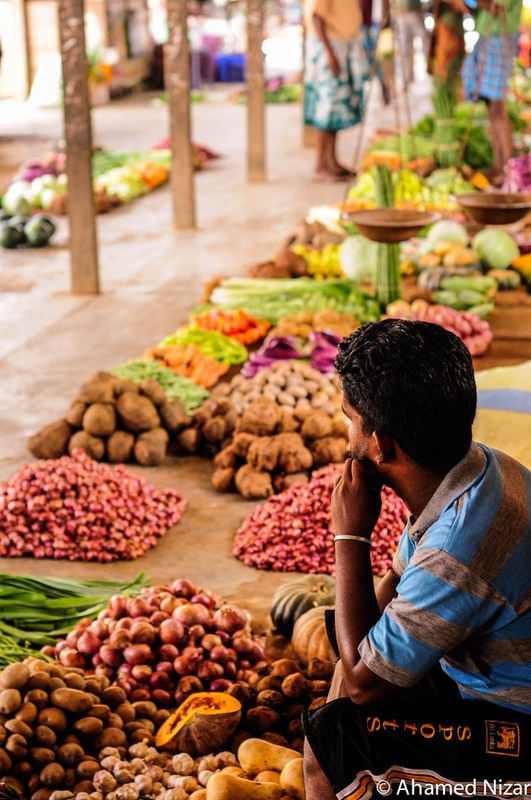 Most of the vegetables are sourced from Anuradhapura being the harvest hub. Here a seller looks on hoping a customer comes by. Some lovely pictures. 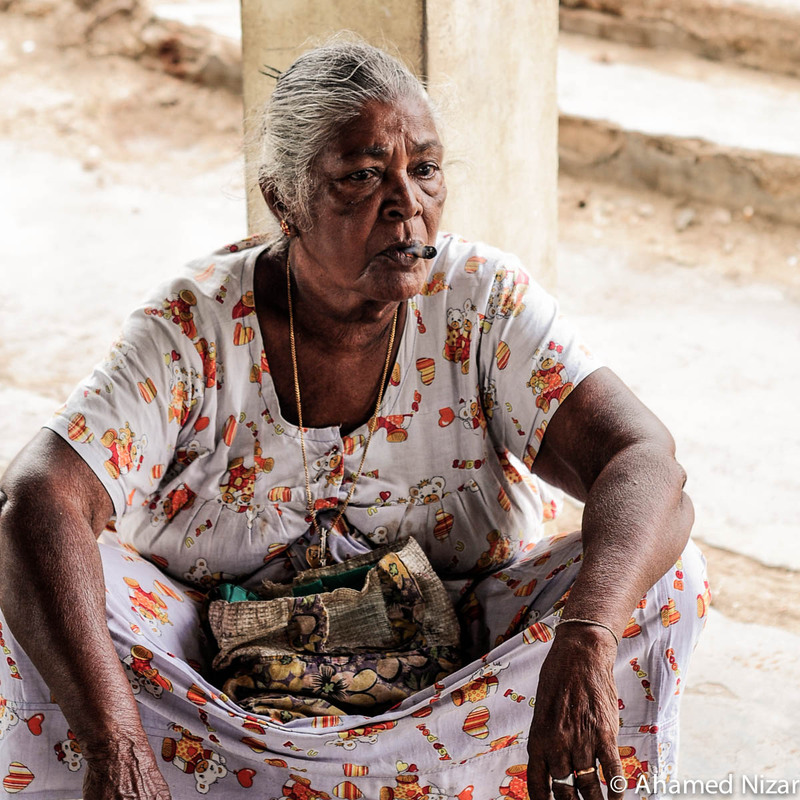 I visited Jaffna soon after the war and its hard to tell that there was a war going on for 30 years. 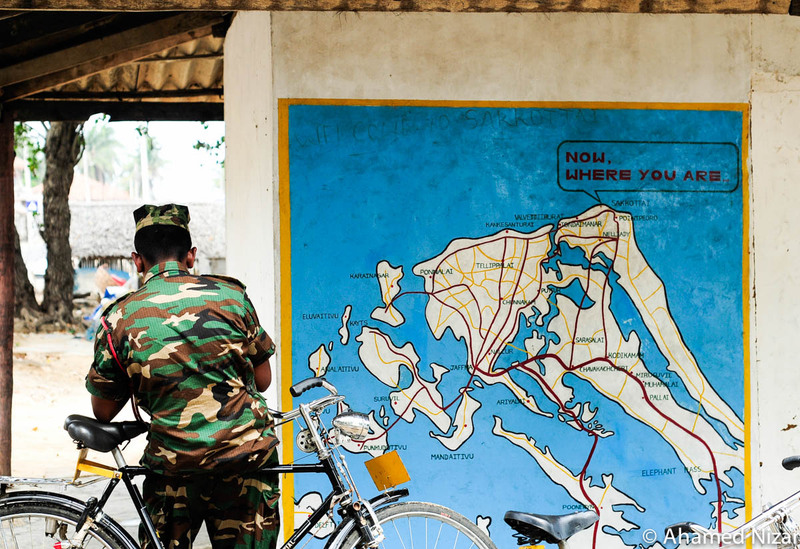 You can see plenty of evidence of war on the way but hardly any evidence in Jaffna unless you visit the fort.